These two fearsome creatures in the Navarro River Redwoods State Park were created either by a lightning strike or a localised forest fire. They looked to me to be having a very intense discussion. Happy Hump Day. Hope your week is going well. 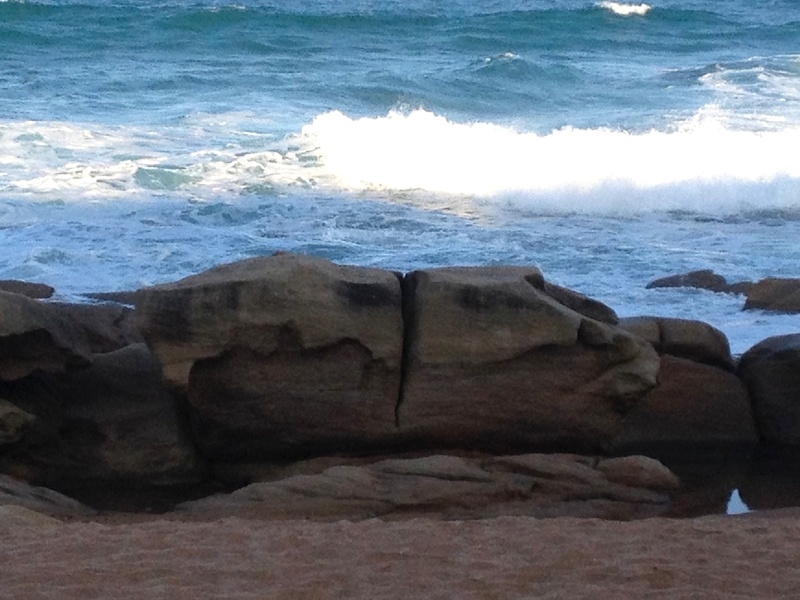 There are huge rocks along the coastline here in Umhlanga Rocks, hence it’s name. As some of you may remember, I ‘suffer’ from a condition called Pareidolia, which means that I see faces in almost everything I look at. These rocks are no exception. Can you see what I see? 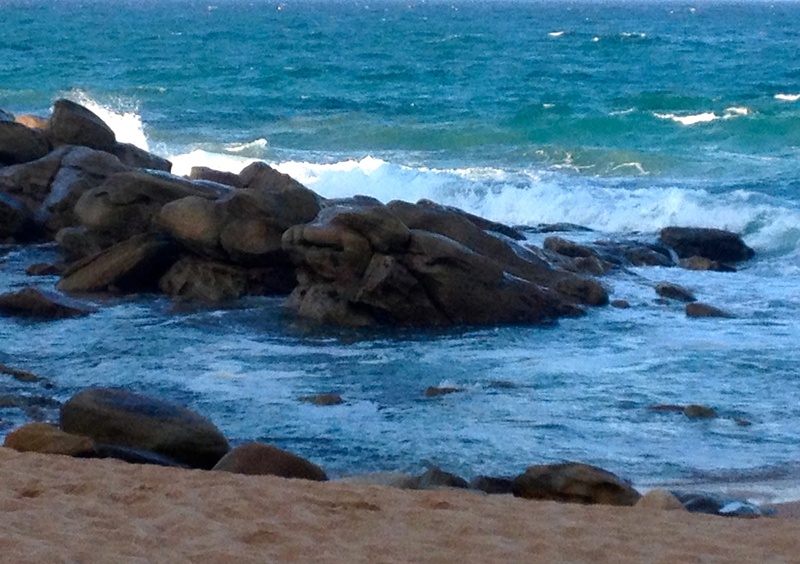 Here are some more, which to me look like animals racing towards the beach. I’m sure the closest one is a dog. Thanks to you to all of you for your kind “get well” wishes. I’m feeling quite a bit better today. Happy Thursday. Yesterday evening whilst having dinner, I looked up at the setting sun and saw this fantastical figure riding through the sky. Can you also see the cherub face and the fluffy wings? 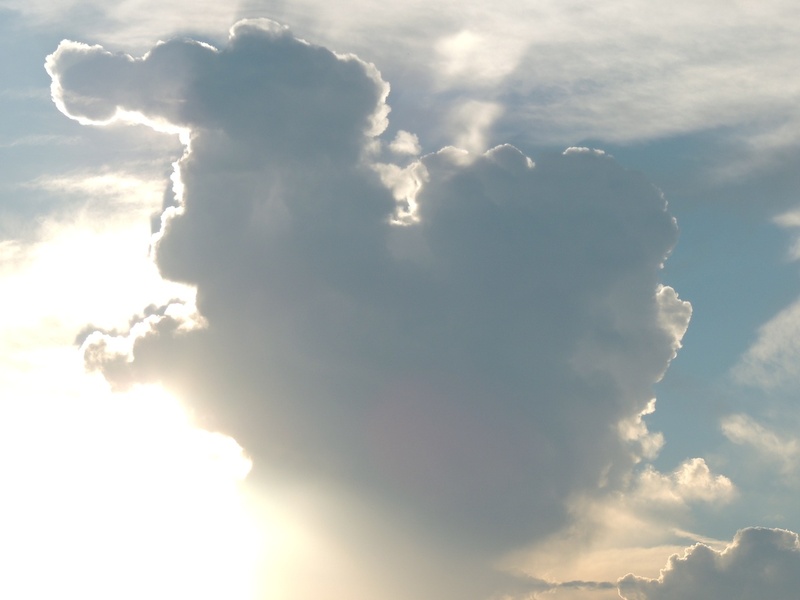 Did you know that there is name for the phenomenon of seeing faces and other images in the clouds? It’s called ‘Pareidolia’. If you also ‘suffer’ from this happy condition, you’re not alone. There is a cloud appreciation society which has over 8,000 members.